EXCLUSIVE: Screen talks to Anna Higgs, Film4.0’s head, about its busy slate including films from Ben Wheatley and collective Shynola. 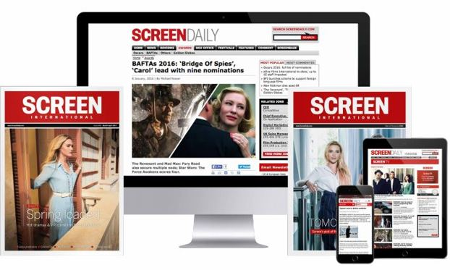 In early 2012, Screen sat down with Anna Higgs, the head of Film4’s Film4.0 to talk about her ambitious plans for Film 4’s new digital arm. Now Film4.0 has a film by Ben Wheatley in the edit room, new projects from Shynola and Jonathan Entwistle in the works, and about 15 more in development. The project will also include an innovative “digital masterclass,” following the filmmaking process through video footage, blogs and audio files. “It’s not a film school but is looking at how Ben as a filmmaker works,” Higgs notes. There will also be an “anatomy of a scene,” with rushes, edits and Wheatley talking through the process. The film will launch in May and a theatrical release will be part of the plans, although there will also be more innovative strategies for the release, including experimenting with windows. Also, the team will source alternate income through initiatives such as selling exclusive posters at Rook’s website. “There’s no one set model, we can look at who the audience is and what’s best for them,” Higgs says of Film4.0’s approach to all its releases. Also at the editing stage is Dr Easy, written and directed by artists collective Shynola (best known for music videos for artists including Radiohead and Coldplay). The short will be a pre-cursor to a planned feature adaptation of The Red Men by Matthew de Abaitua. The short, produced by Warp’s Ally Gipps, stars Tom Hollander in the story of a man encountering a medical robot in a near future world. The titular robot will be created with “cutting edge CGI,” Higgs says. The short, which will launch online in March 2013, will build on Shynola’s fanbase and also encourage user-generated content. The edgy teen road trip story is based on Charles Forsman’s graphic novels. The pilot will shoot in January and then 12 instalments of shorts would be made. “We’ve got lots of options [of how to release it] but we’re looking at it organically and letting it grow as it develops,” Higgs says. Vimeo is a potential partner. Film4.0 is also keen to work with established talents in new ways – for instance, Ken Loach is working with the team on The Spirit of ‘45, his archive documentary that will involve a community online.